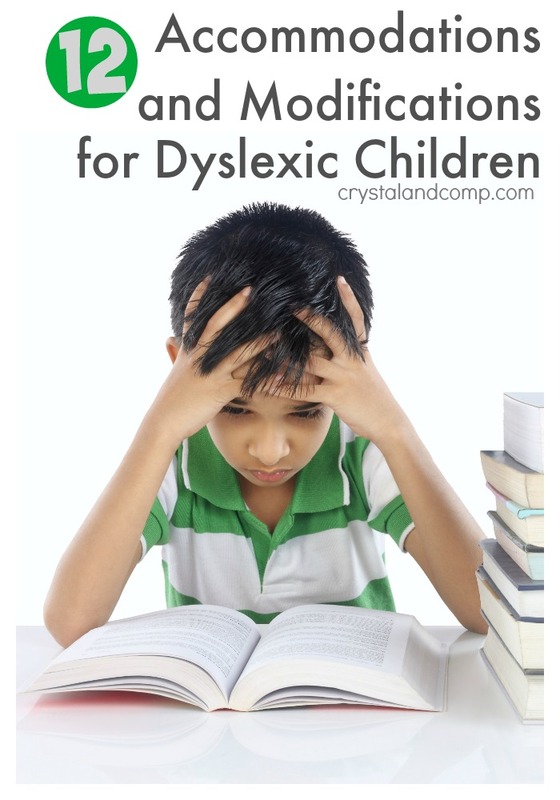 Do you have a child who is Dyslexic and you’re spinning your wheels to get help for him or her in the classroom? I have been there. We homeschool now but this was something we worked through when one of our boys was in public school. 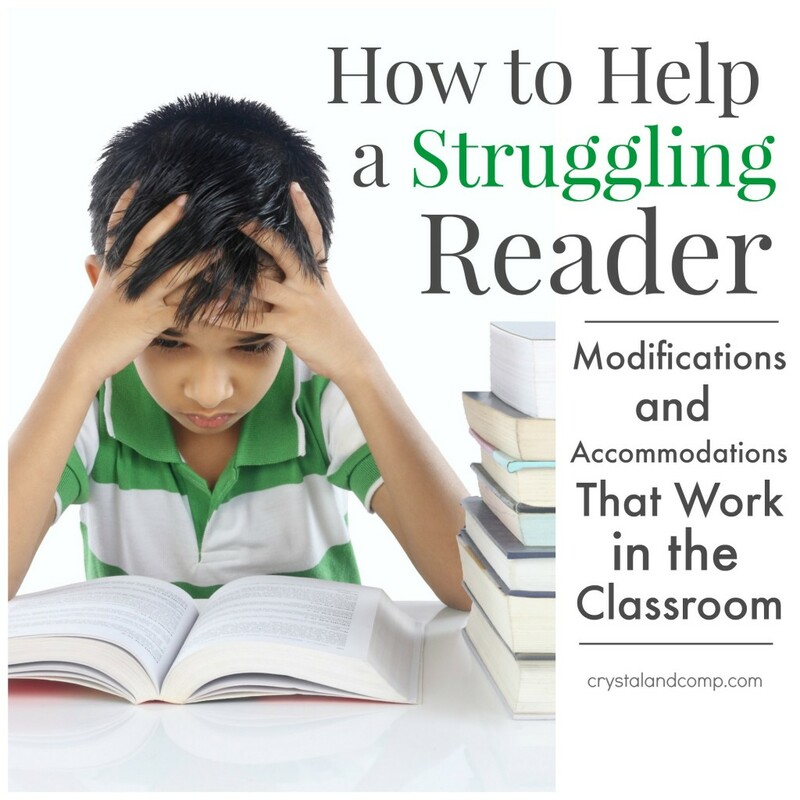 There is a process to obtaining these accommodations and modifications for your Dyslexic child, but it can be done. These are resources that are working for Anthony. I am not a professional, simply a mom who has watched our journey evolve. When our journey began I had no idea what resources, accommodations, modifications, etc., were available to us, nor did I understand the process needed when asking for these tools. And in our situation the school did not just offer them. We had to ask- aside from the two year dyslexia program Anthony was enrolled in when his diagnosis was given. While this two year dyslexia program is great, there are needs that must be met in the traditional classroom setting and in his day to day learning. 1) Alphasmart– this is a lap size computer device that can be used in a simple manner or a more complex manner. There are different versions available- some with more frills than others. We have a basic version. This year the school supplied Anthony with three- one that stays at home, one that stays in his main classroom, and one to use in his reading classroom. At home we use it to practice for his spelling test and practice writing stories. You can also have it link up to your printer so the student can print out what he types. What is so great about this device is sometimes words and letters get lost for a dyslexic student when going from their mind, to their pencil, to their paper. How do I make that letter? Did I spell that word right? Can the teacher read my writing? The Alphasmart allows the student to focus on the story they want to tell instead of fearing their penmanship might not be legible, wondering if they spelled each word correctly, etc. With some versions you can even upload worksheets and allow the student to complete some of their classwork using the Alphasmart. Find what works best for your child. Right now the basic version meets our needs. steps at one time. Ask the teacher(s) to break things down into steps for your student. 5) Request Regular Feedback– the dyslexia teacher at our school travels to other campuses. It is not always possible to find her on on campus, but I like feedback. I do not want to arrive at the end of a six weeks (or even a 3 week progress update) where I am suddenly being told Anthony is not meeting the mark for specific areas. We have an agreement that his dyslexia teacher updates us each day in his school planner with a quick note about how he is doing. A simple smiley face, a quick note that his behavior was not ideal, or a happy message that he is souring with his decoding skills is great. It allows us to know where we need to work harder at home. 6) Close Seating to Instruction– if your child struggles with being independent or lacks confidence it can be ideal to have him seated close to instruction. 7) Access to Reading Programs– such as RFB&D (recording for the blind and dyslexic) is a program for children and adults. Their program gives your student access to over 60,000 audio books for free. The audio access allows you to download books directly to a Microsoft Windows based computer. You should be able to obtain your free one year membership via your public school system or by visiting this link https://custhub.rfbd.org/registration. This is available to any student in the public, private or homes-schooled setting that has a certified print disability. Textbooks, novels, chapter books, etc., are included in their audio access library. 8) MP3 Player or Kindle– the school system can pay for this tool for you. It is simply another resource that allows your child to enjoy reading. We were assigned an MP3 player and it is at home with us. It is another option for downloaded books and allowing him to listen to them and read along while he finds his love for reading. 9) Access to Title One Reading Programs– because we are in a Title One school here in Texas, there is additional funding given to our school for at risk students who need extra help with skills such a reading. You do not have to have a learning difference or disability to participate in this program it is simply extra one-on-one learning for your child. A Title One reading program is offered at our school and was made available to Anthony this school year. He stays after school two days per week and gets additional one-on-one reading instruction for 30-45 minutes. 10) Whisper Phone– this is a nifty tool that can be very helpful to a dyslexic student when reading independently. You can read more about the whisper phone online. Anthony’s teacher actually has a knock-off version of this phone made using PVC pipe. Some dyslexic children need to hear themselves when they are reading but in the classroom this can get loud. The whisper phone idea allows the student to read to themselves in a whisper and the phone amplifies their voice and helps with comprehension. 11) Not Penalized For Spelling Errors– in traditional classwork, your student should not be counted off for, or penalized for, spelling errors. Obviously this does not apply to spelling tests. Why shoot their self esteem down by losing points on a writing assignment? The focus should be good content and good story telling. 12) Buddy or Peer– it can be helpful to have a buddy or peer identified in the classroom that your child can count on if the teacher is busy and he needs help pronouncing a word, or needs to ask for guidance that a peer can assist him with. Obviously the guidelines need to be identified ahead of time. You do not want your student being a burden to another student, but team work can do wonders! Initially we were not greeted with open arms and were actually cautioned that we were potentially hampering his learning and were told he could be successful without them. On the other hand, the school did customarily offer accommodations on all state standardized tests. You know, the tests that directly effect their scores, overall standing with the state, and potentially their funding. Tell me, what has your experience been when seeking accommodations and modifications for your child in the public school setting? What is working for your child and what is not working? I would love to hear from you. Additional accommodations include a scribe, additional time to be given for tests, a quiet room for tests to be administered, pull out time to work with Special Ed teacher, reduction in homework, lists of site words. The attitude at my daughter's school has been if all children had these accommodations, then everyone would perform better. However, I counter that not everyone's brain works in the same learning disabled manner as my child's hence the accommodations. Currently, my daughter's teacher is not grading the writing which my daughter uses the scribe. I anxiously await to see your piece on requesting accommodations so we can compare notes. Miko's Girl- thank you so much for sharing! It is so wonderful to bounce ideas off of other parents. Extra time on tests and taking tests in a room alone with the option of a teacher reading the test to you, are excellent accommodations. These, as I understand in Texas, are customary and part of the TAKS Accommodation Bundle that students are given as options when taking our standardized state testing from 3rd grade on when a dyslexia dx is made. I agree that these accommodations should be available to the students for regular day-to-day testing as well. So far he honestly has rarely exercised the options as he really prefers to read the test himself. I think that is a great list of modification/adaption… I am/ was a special education teacher, ( I get to stay at home with my little kiddos at the moment…) I think the best thing a parent can do is to be educated about what is available, and you have done exactly that. I have found when parents took a positive pro-active approach rather then a demanding type approach, they get better results all around, and that appears that is what you are doing! Wow – What a wealth of information you have gathered. Hopefully, this will help many moms and teachers out there. Great work! As a hopeful future special educator, I'm very glad you are sharing you experience with everyone. Even for teachers, I think it's hard to stay up-to-date with every possible tool for the students. This is a really nice list of accommodations and modifications. Thanks for sharing! I know there are a lot of parents who are grateful to have this info! The whisper phone is such a cool idea! Your posts are so informative. Love it! Great idea to post this on WFMW – spread the word. Virginia does not have accommodations packets – some things are better in Texas. while i am not a fan of pull out instruction, i know for some children it works. i love the idea of one to one help by a peer or an adult. You have some great info for parents who may need it. This is great and am going to share this with my fiance who has two kids with dyslexia (and he also has it as well!). Wow, thanks for the information. I am so glad to know that it is out here should I need it one day. You are doing a great job of advocating for your son. We got our 504 for our daughter and so far her accommodations are a study period in place of PE and the use of a binder with color-coded folders and dividers. We didn't even ask for the school to supply us with the binder. Oh well, I'll have to remember that for next time. I'm upset to learn that the study period is only supervised by the Media teachers. In other words, she will not be given individual attention. And her binder will only be checked 2-3 times per week instead of every day. We're waiting to hear if she's approved for IEP testing. I'm hoping she is. You said, " I am not a professional, simply a mom who has watched our journey evolve." HA!! You know so much more than a professional could learn from a book!! never underestimate the power of being the one person who actually cares what happens to your child! Ok, so I have a child in third grade. I had him tested outside from the school for dyslexia, because they don’t test for it. He does have severe spelling dyslexia, dyslexia, and dysgraphia. He has trouble with sequencing, do also issue with math. He has started dictation sentences this year, and he really is having difficulties. Any ideas of what accomadations I should ask for in regards to this particular subject. Thanks for your sight, this is extremely helpful. It is nice to not feel alone in regards to this. My son was diagnosed with dyslexia and dysgraphia when he was in the third grade. At first we had a IEP plan that outlined his modifications (reader, scribe, extended time, paraphrasing, prompting/cueing, use of technology (dictation software and calculator). Once his grades progressed, we transisitioned over to a 504 plan. The first year was great. Same modifiications and 6th grade was fine. However, this year (7th grade) has been a disaster! His 504 has been violated more times than I can count and presently we are fighting to keep certain specific modifications in his plan (use of a calculator). Apparantly, if you have dyslexia and make good grades, then you shouldn’t get modifications??? Parents of children with dyslexia need to fight for thier children’s rights! As an educator, I not only fight for my son BUT my students! I hope my experience helps someone else protect their child! Just beginning the process with my son. I have him in private school and have to constantly remind them of his dyslexia because he rises to the challenges. He holds his own in class but stinks at spelling test. I hope that he is not falling through the cracks but not sure. I am glad I found your site so that it can help my son and I will share with his teachers. Wow! So many awesome accommodations and voices of encouragement and clarity! Best page I stumbled upon in many a late night trying to prepare for an upcoming IEP. Thank you for creating this space to exchange ideas easily. Can you speak more about your “Two-Year Dyslexia Program”? How great to have that kind of accessibility and relief for parents that the school and district are aware of Dyslexia and how it affects it’s students! Every student deserves to get an “A” if they are wiling to work for it. Dyslexia students often out-work many regular students but never get to feel the “A”. That is a dangerous, slippery slope for a child to be on. As advocates, parents and teachers, we need to constantly encourage each other, not to fall into the mindset that with improvement accomodations disappear. The dyslexic student is dyslexic forever, the accomodations just change. A few weeks back my son literally spent 3 hours studying a 10-word list in order to get 100% with the rest of his class. His week was filled with turmoil, breakdowns and stress all because his list was not appropriate for his level. Dyslexic students often torture themselves to keep up with the class. Book lists are sooo helpful for busy parents and makes the library bag much lighter:~) We go through so many trying to find just the right fit. We are loving right now for my 6th grade son, The Lemony Snicket book, Who could that be at this hour?” is the right font size, exciting plot, non-sense words and fun to share with friends. Highly recommend it for dyslexic readers. We are in North Texas and at the time of this post our son was still in public school. We now homeschool. That said, he did complete the two year program that our local ISD (independent school district) used for Dyslexia. Their two year program included some of the Scottish Rite reading program which they referred to as Rite Flight. You can read more about it here: http://www.tsrhc.org/reading-rate. Our school district commits to two years of intense training and intervention with the kids. It changed him. By the end of the second year he was partnering with other student in his 3rd grade class teaching them how to decode words and read better. Other kids as in the kids in his homeroom class who were NOT Dyslexic. Now we homeschool using Sonlight, which is a literature and Biblical based curriculum. He still struggles some with comprehension a bit, but overall he enjoys reading. We are very proud of him! Great great piece, Crystal! We’re new to the whole dyslexia issue and have been trying to get the school to accommodate my son. I hadn’t heard of Learning Ally — I’m definitely going to see if my district has access to this! And not penalizing kids for missed spelling on writing assignments. We haven’t reached that point yet in school but we will be soon enough! Yes! This was a trying time for us and it was so hard to get help from the school. I wish I had been able to find some online resources like this back then! Thank you, Crystal! This is going to be so helpful this year! We just got the diagnosis for Carter. We already have ADHD to deal with – and we are doing good with that. Your suggestions are awesome!! So glad you can use this! I would grab the book called The Gift of Learning. Big eye opener for parents. Also, check out the posts listed at the bottom of this post… like how to plan for a 504, etc. Just remember you want to be as organized as possible as the parent and you are his advocate and his voice. Anthony’s progress was most successful when we had a conference every 6 weeks and included teacher, dyslexia teacher and counselor. You’ve got this!!! We live in Cypress, Tx, a suburb of Houston. My son has had 504 accommodations since he was in 6th grade (he’s a senior this year) and we have had wonderful support from our school. Here are my recommendations and what worked for us: It is very important to stay in touch with your child’s counselor and have meetings at least once a year, if not more. Review what is working and if more accommodations should be added. I would e-mail his counselor several weeks before school started reminding them to give him stuctured teachers that would keep him on task. Once He got his schedule and knew the names of the teachers he was going to have that year, I would send each of them an e-mail with a list of his accommodations. This worked really well and his teachers were always happy to receive my email . A list of his accomodations didn’t always get sent to his teachers in a timely manner or they would forget because they have so many students. I can’t stress enough that communication with your child’s counselor and the school is very important! Just stumbled across this post. Thank you, as a parent with a newly diagnosed child, this is helpful. I am reading this because my 2nd grade grandson was diagnosed with dyslexia but not without the fight of a lifetime. My job was to research and encourage my daughter and husband that they were doing the right thing. They had to have him tested outside the public school system. They paid out of their pocket for a tutor who specialized in dyslexia. The school finally came around and he now has a 504 plan. This week he made his first A on his reading test! He was so happy and his mother cried! I may have shed a tear, too. I had a sibling who had the same problem and my mother tried her best but to know avail. My sibling finally learned to read after he was out of high school. I helped them fill out an application for a job. Fortunately, the hiring person knew him and our family and gave them an opportunity. It worked out well with many promotions and eventually retirement. It wasn’t easy because each promotion required studying and tests. A person can overcome but it shouldn’t be so difficult! Thank goodness for your information for these children.